The use of cardamom in cuisine is ancient and extensive. It is currently the third most expensive spice in the world behind saffron and vanilla. Cardamom is a distant relative of ginger and, as you can see in the picture above, it comes in pods containing seeds (about 25 per pod). The pods are picked before they a fully ripe because they tend to split open too easily when ripe. They are cured by drying them. When they are fully cured, the cardamom pods become very hard and attain a good green color. Cardamom pods can also be bleached white. True cardamom is therefore green; however, other species of false brown or black cardamoms are sold. 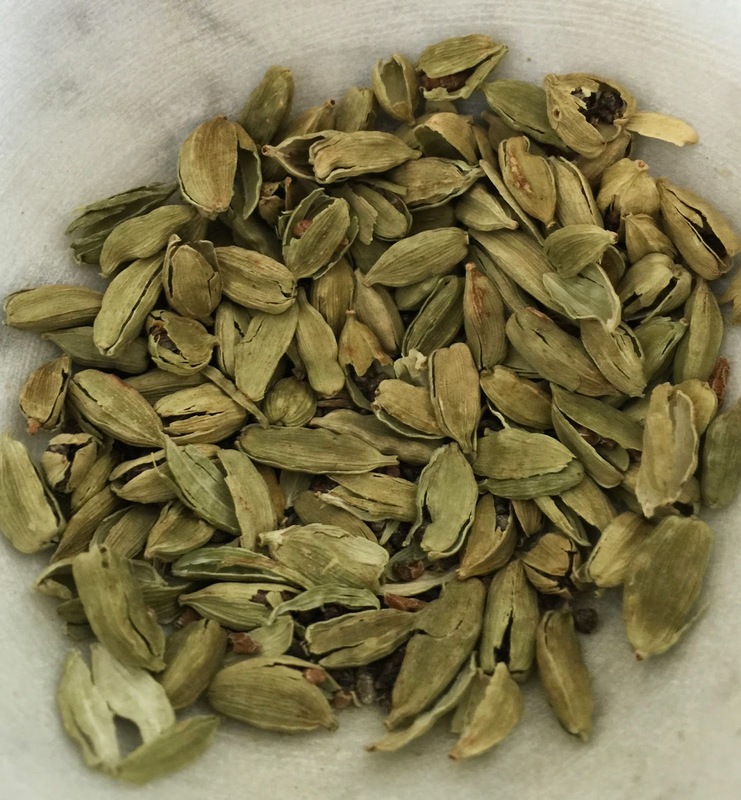 While they are referred to as cardamom and look similar to true cardamom, they have a stronger, less subtle flavor and aroma. Cardamom originated along the Malabar coast of southern India in the Kerala Hills (also home to peppercorns), and they have been used for thousands of years. References to cardamom date back 5000 years to references in Sanskrit texts, and the spice was found in Babylon as long ago as 7000 BCE! As of the early 21st century, India was still the leading producer of cardamom; however, in recent years Guatemala has become the world’s largest exporter of the spice. Ironically, almost all of the Guatemala-grown cardamom gets sent to the Middle East so that most of the local people do no really understand what to do with it. 1. 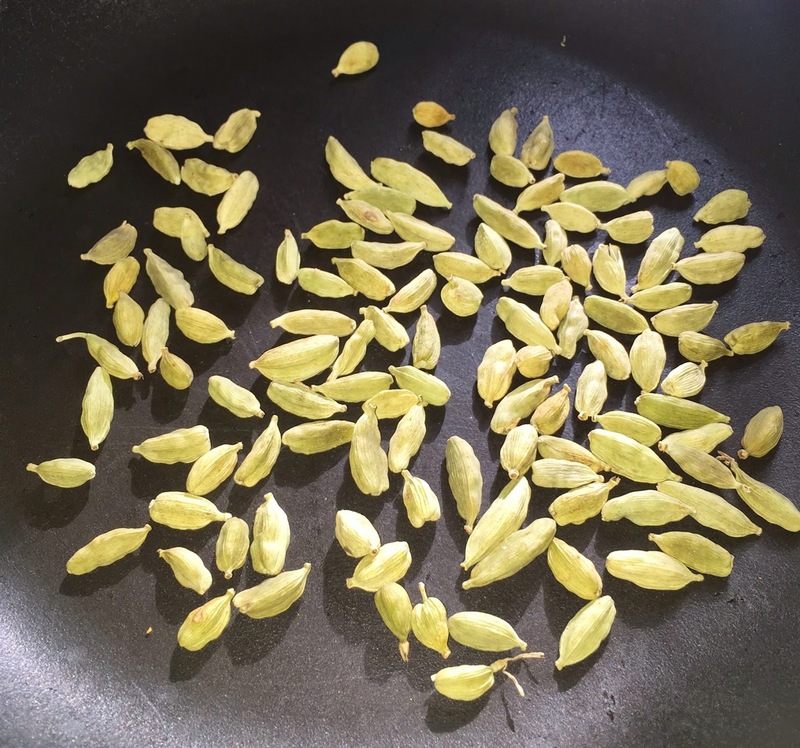 Place the whole cardamom pods in a dry frying pan that has been heated to a medium high heat. Heat the pods over the heat and keep shaking the frying pan to prevent scorching. When you start to smell the cardamom scent, the pods have been heated enough (about 5 minutes). 2. 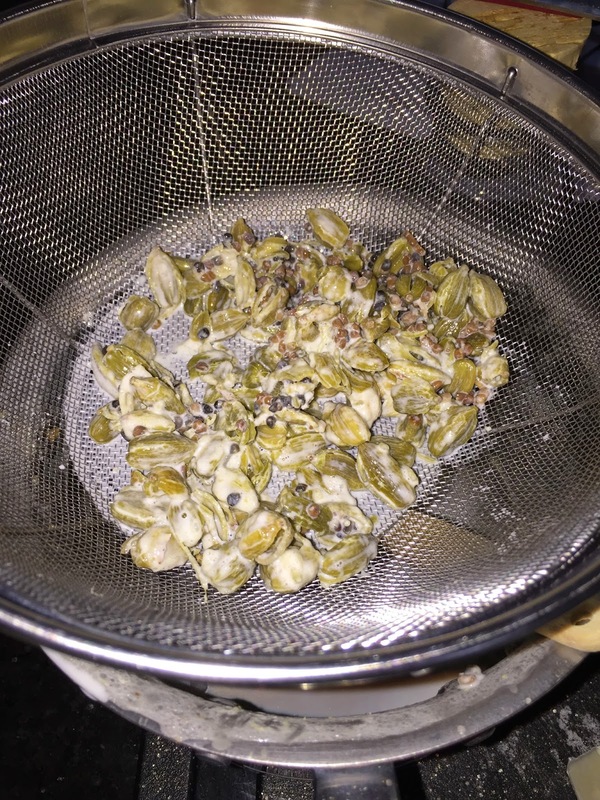 Place the cardamom pods in a mortar and pestle. Beat the pods until the pods start to burst and the seeds are released. Notice how the cardamom seeds are popping out of the pods. 3. 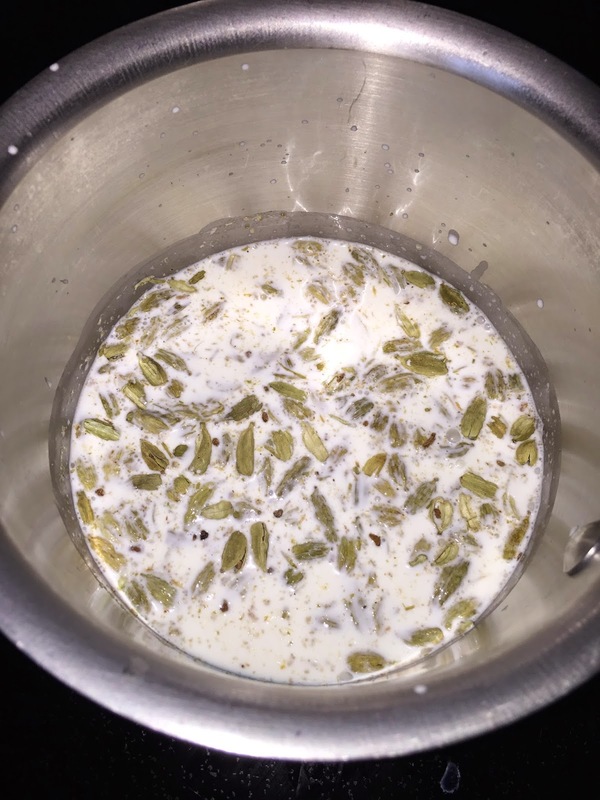 In a small saucepan, mix together the cardamom seeds, heavy cream, and milk. Bring to a simmer and then cook of low for about 15 minutes. Stir frequently to prevent a skin forming on the surface, and make sure the temperature is very low to prevent scorching on the bottom of the saucepan. 4. After about 15 minutes, taste the milk to make sure the cardamom flavor has infused into it. Remove from heat and set aside. Cardamom infusing in the milk/cream mixture. 1. Slice the peeled potatoes into disks about 1 inch wide. Place in a large pot and cover with water. Bring to a boil, reduce heat to medium-low and cover. Cook for about 40 minutes, or until potatoes are soft. 2. Drain the potatoes from the water. In a large mixing bowl, dump the potatoes and add the butter, salt, and sugar. Mash all of these together until smooth. 3. Drain the cardamom pods and seeds from the milk and discard. The used cardamom pods and seeds can go in the trash now! 4. Add the cardamom-scented milk to the potato mixture. 5. 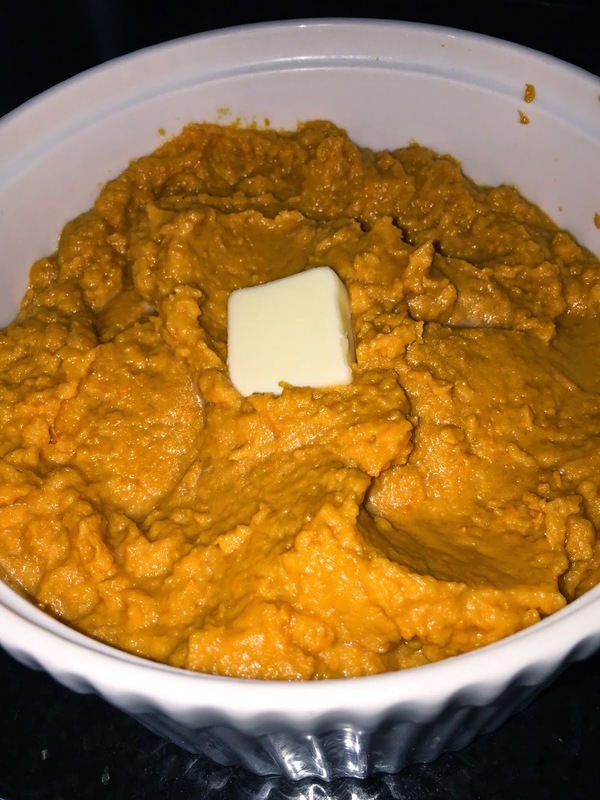 Place the mashed prepared sweet potatoes in a serving bowl and dot with butter and more cream . . . serve! Michael Krondle, The Taste of Conquest: The Rise and Fall of the Three Great Cities of Spice (New York, 2007).